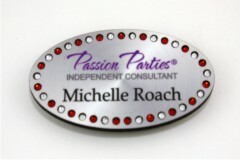 Silver Oval Mix Stones Bling Name Badge with magnet backing. 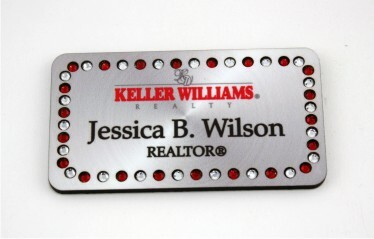 Silver Rectangle Mix Stones Bling Name Badge with magnet backing. 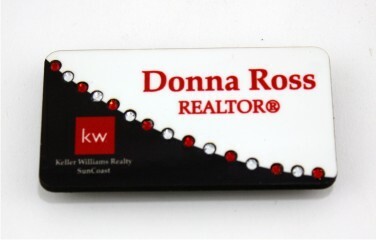 Two Tone Swirl Black and White Mix Stone Colors with magnet backing. 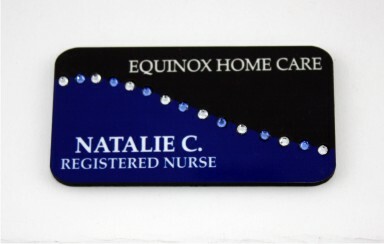 Tone Blue and Black Mix Stones Swirl with magnet backing.